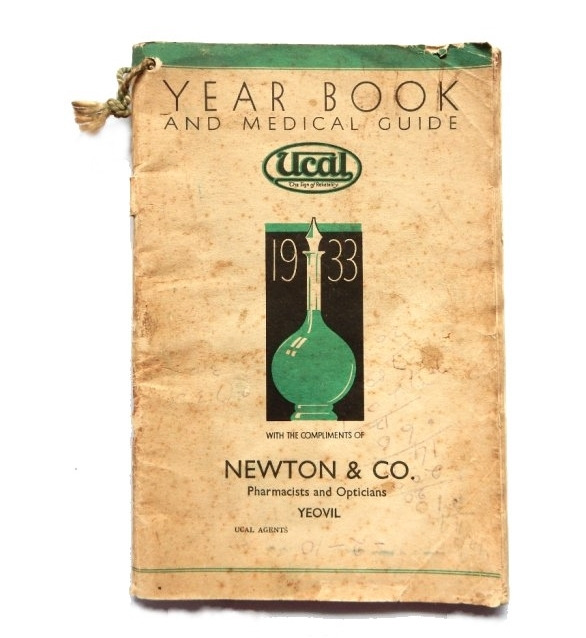 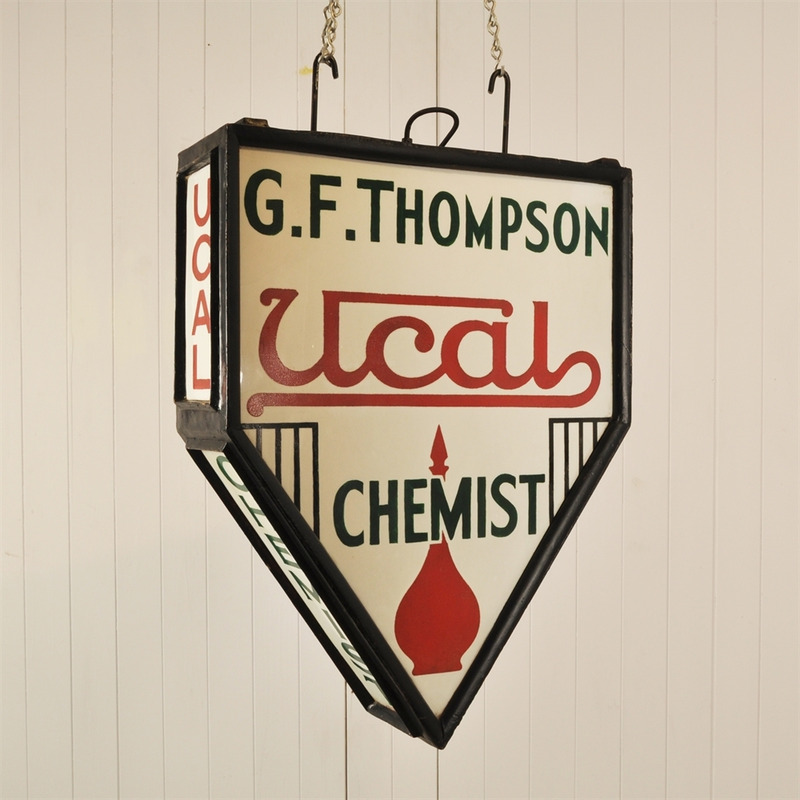 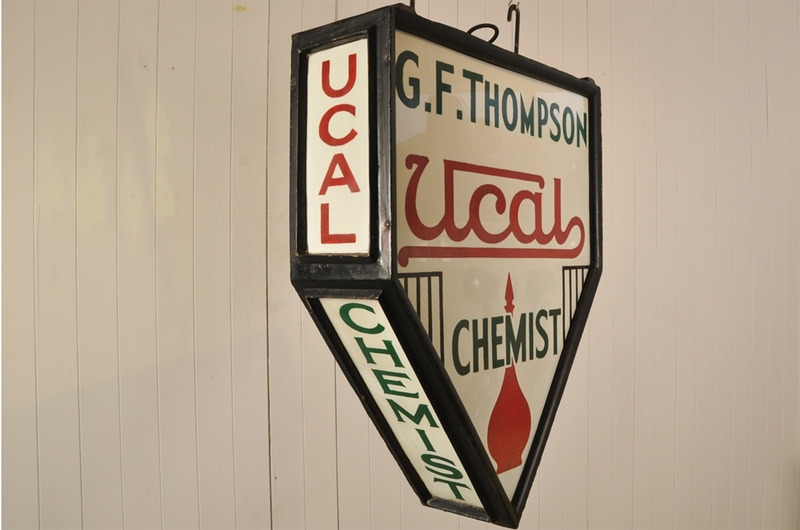 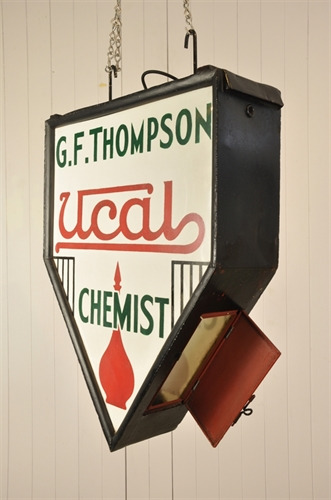 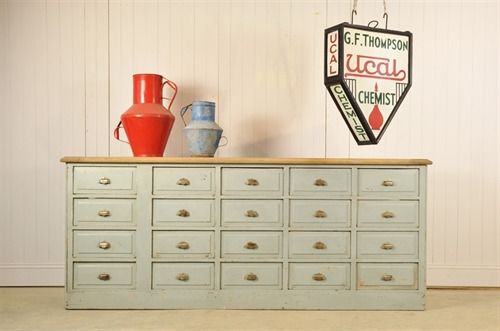 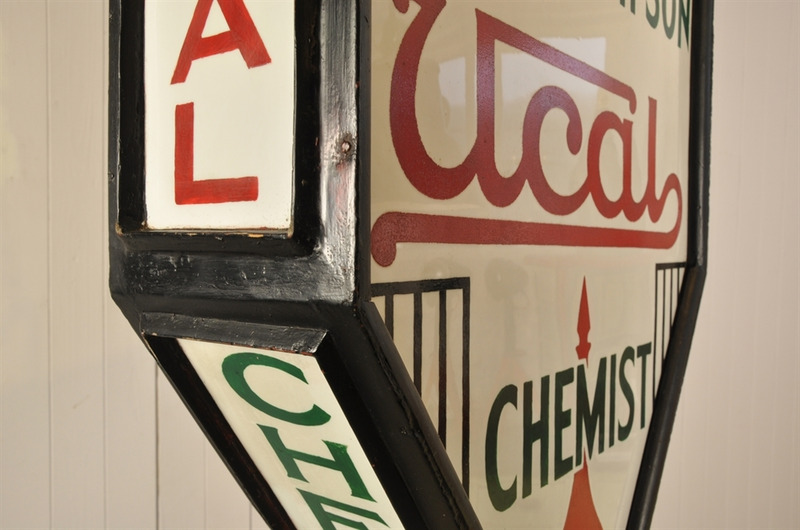 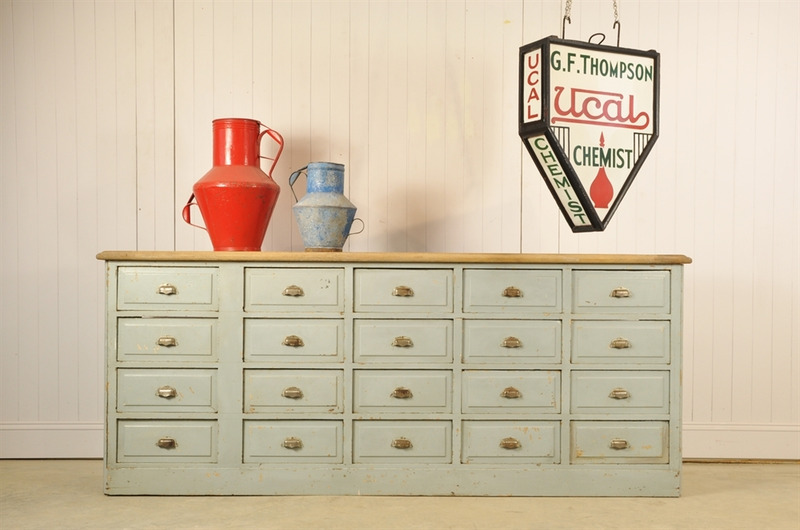 This is a rare piece that would have hung outside the early 20th century Ucal Pharmacy's. 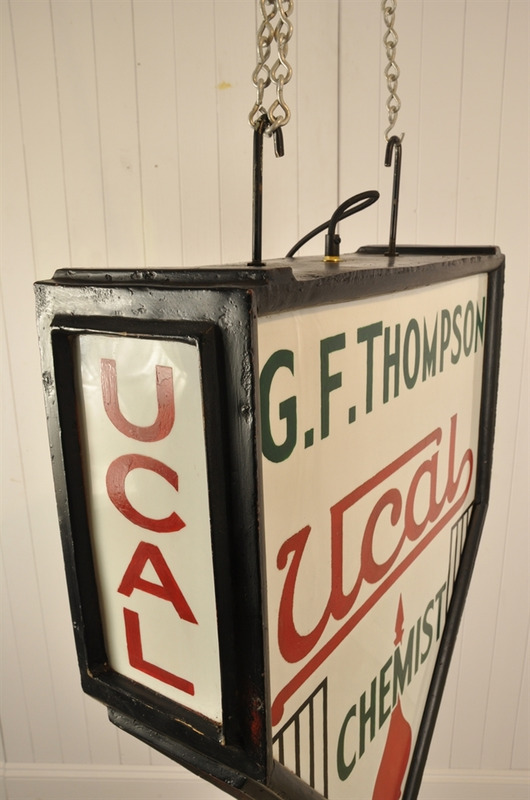 Quite amazing that its timber frame and glass signage has survived - especially in such good condition. We have done very little to restore it other than replace the electrics and given it a good clean. 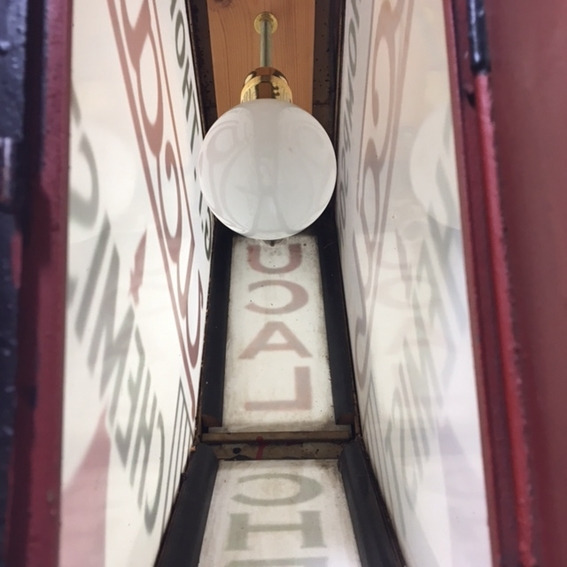 We believe the hanging rods were added later. 68 cm h (without hanging fittings) x 52 w x 18 d.